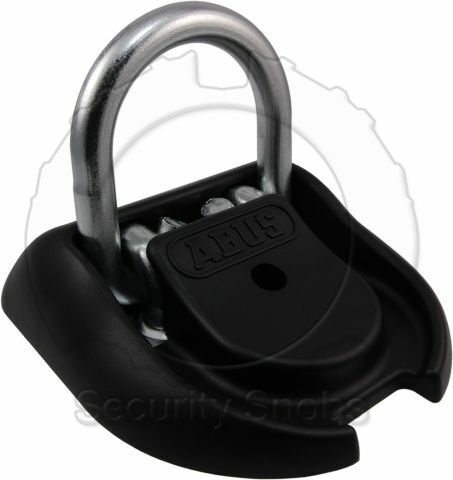 The ABUS wall anchor is a heavy duty shackle mounted to the wall or floor. It includes 4 extremely strong expanding bolts for secure anchoring using nothing but a drill and ratchet. It includes ball bearings that can be hammered into the end of the expanding bolts to prevent them from being removed. It features a 0.6" thick shackle that resists bolt cutters and grinding as well as just about any chain you can pair with it. 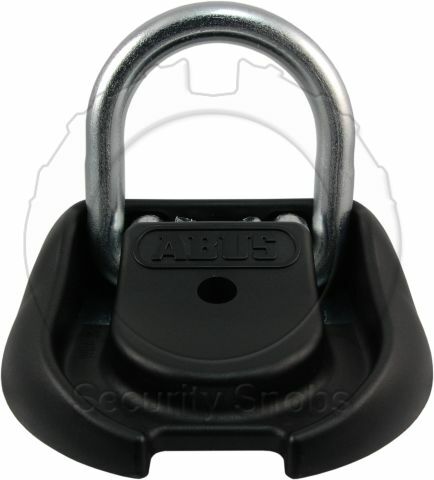 Perfect for bicycles or motorcycle securing or when you need an anchor point where there is currently not one. Installation of the wall anchor is fairly simple. 4 holes are drilled and the anchors are insrted and then screwed into place. To stop them from being unscrewed the included ball bearings can be hammered into the screw heads to stop removal. 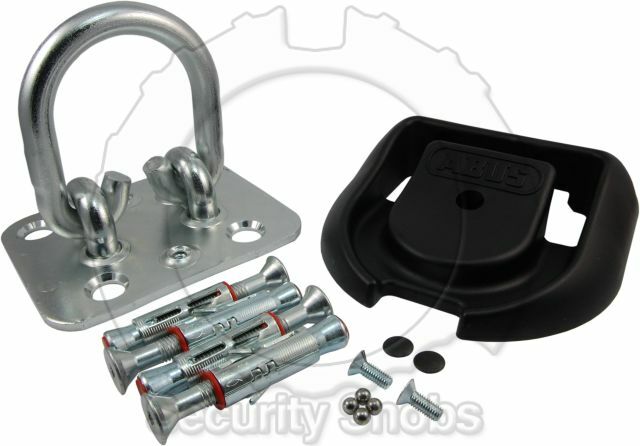 For more details please see the ABUS Wall Anchor installation instructions. 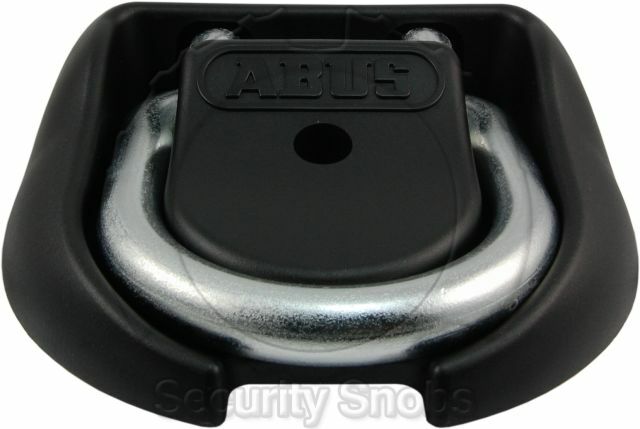 ABUS Wall / Floor Heavy Duty Anchor Padlock Hasp was successfuly added to your shopping cart. You can browse for more products or proceed to checkout.